Richard Allen was born in 1803 at Harold’s Cross, which was then a rural area of Dublin. The family were part of the Society of Friends (Quakers) community in the City. His father, Edward Allen was a successful Linen merchant, and as part of his charitable and philanthropic works (as often associated with Quakers) he was a founder of the Fever Hospital in Cork Street. Edward and Ellen Allen lived at James Street and afterwards at Bridge Street. 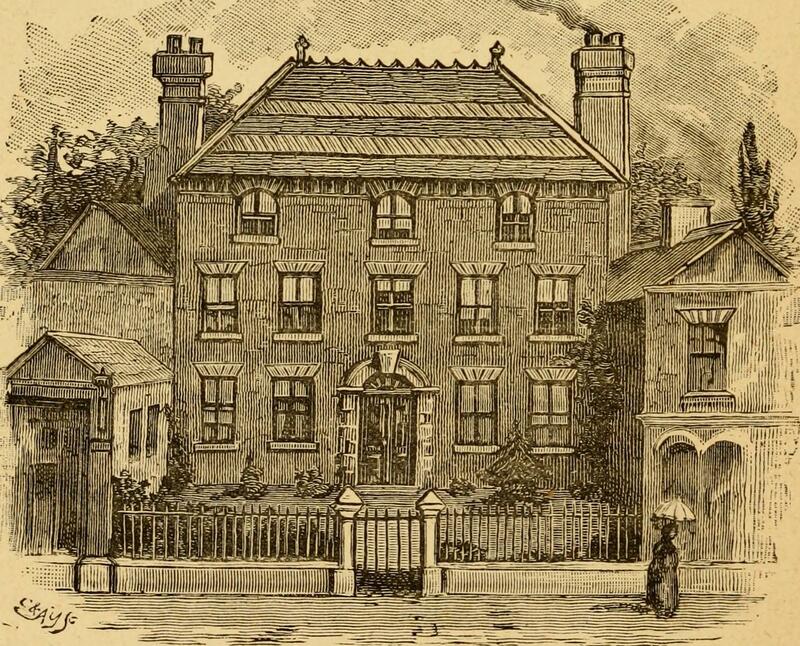 The property at Harold’s Cross was their summer residence, this being largely countryside at the time. They had a total of 15 children, with Richard being the second. Like most his sisters and brothers he was educated privately by a tutor, and aged 17 he became involved with the family business. In 1928 he married Anne Webb, a member of another successful Quaker business dynasty. He developed his own business, and operated from premises on Sackville Street and also Patricks Street in Cork. The building on Sackville Street (now O’Connell Street) was destroyed in the fires that devastated the thoroughfare during the 1916 Rising. Amongst his friends and wider circle of associates he would include Frederick Douglass, the American publisher William Lloyd Garrison, the temperance campaigner Father Theobald Mathew, the Dublin-born philanthropist Dr Barnardo, and the poet and balladeer Thomas Moore. Richard Allen’s commitment to social reform saw him embrace the temperance movement, a campaign for prison reform and abolition of the death penalty, and most significantly the anti slavery cause. 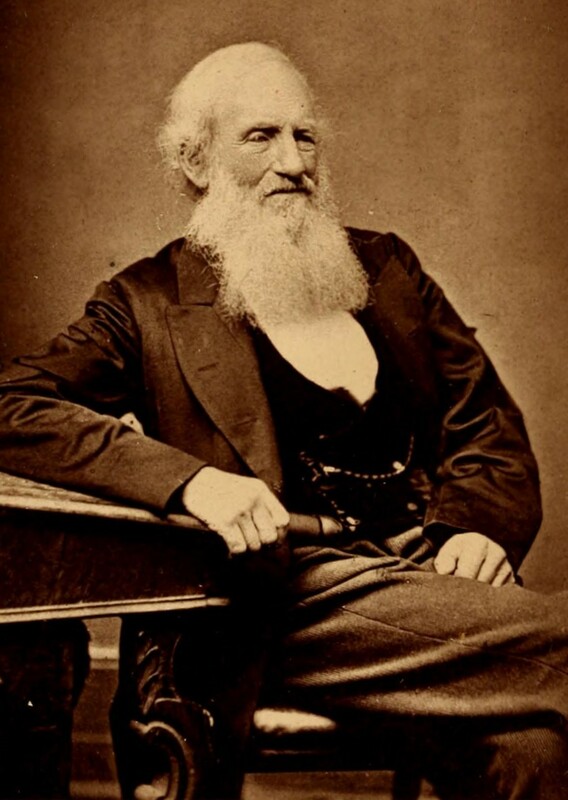 In 1836, alongside two fellow successful Quaker businessmen Richard D. Webb (printer & publisher) and John Haughton (corn merchant) he founded the Hibernian Anti Slavery Society. Haughton was chairman while Allen became its secretary. In 1840 Allen and Webb were among the attendees of the World Anti Slavery Convention in London, the first of its kind ever held. It was an event immortalised in a painting by Benjamin Robert Haydon. Incredibly detailed, Richard Allen, Richard Webb and Daniel O’Connell can be identified clearly in this historic work of art, now on display at the National Portrait Gallery in London. 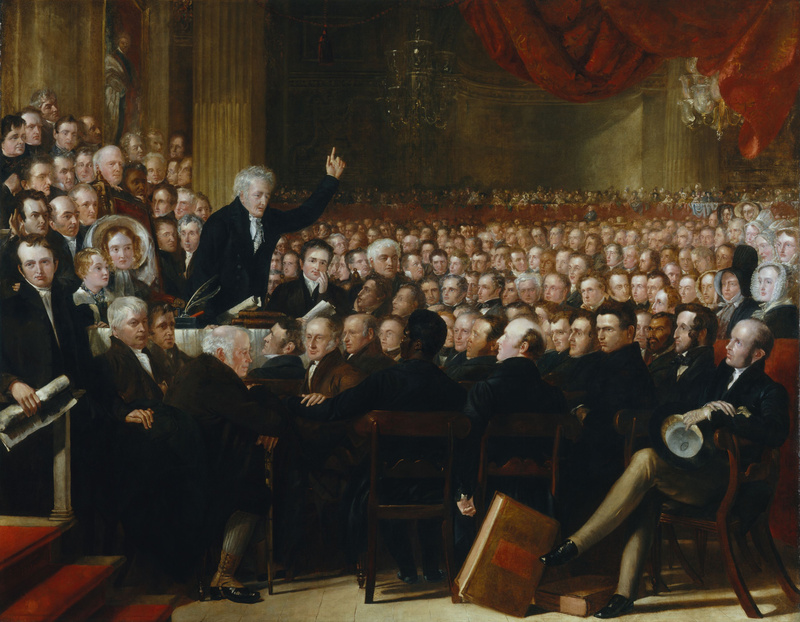 “One of the first acts of a Convention , assembled for promoting the cause of liberty and freedom universally, was a vote, the spirit and object of which was a determination that the chains should not be broken, with which an oppressive custom has so bound the mind of women”. 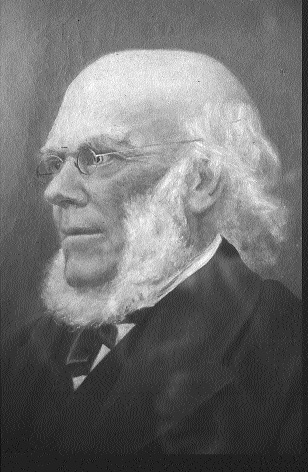 Daniel O’Connell was widely regarded as one of the most impressive figures in attendance, and after he spoke a New York State abolitionist, James Canning Fuller appealed passionately to him as he believed he “…could do more to pull down slavery in America than any other individual. To the Americans, there was a particular charm about Mr O’Connell’s name, and his influence in that country was greater than that of the whole convention. 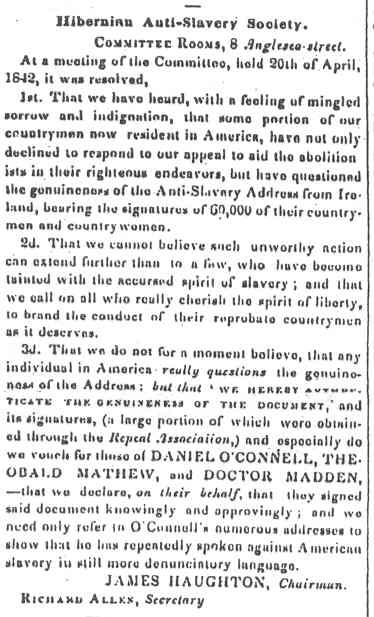 If Mr O’Connell would issue an address to his countrymen in America the effect would be felt throughout the length and breadth of the land”. 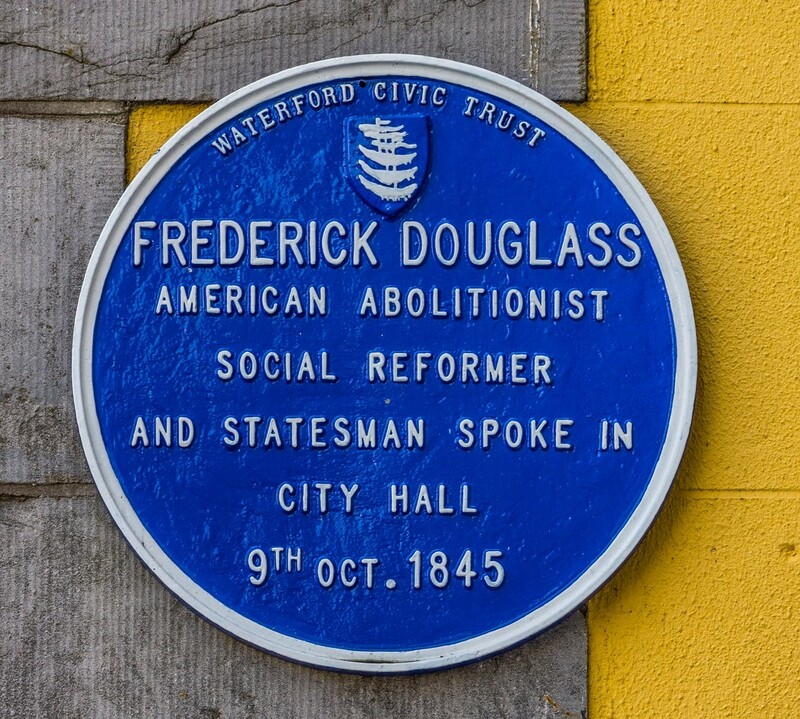 In 1845 the Hibernian Anti Slavery Society was responsible for the visit of the great abolitionist, escaped slave and author Frederick Douglass to Irish shores. Accepting their invitation, he conducted a lecture tour, which in his own words took him from “the hill of ‘Howth’ to the Giant’s Causeway and from the Giant’s Causeway to Cape Clear.” In Dublin he spoke alongside Daniel O’Connell at Conciliation Hall on Burgh Quay, and afterwards was received by the Lord Mayor at the Mansion House. He would go on to speak in Waterford, Belfast, Limerick and Wexford before travelling across the Irish sea to Britain. The three main stays of the society were also involved in other campaigning issues. And the society itself was not only concerned about American slavery. They had campaigned against the use of ‘apprentices’ in the British colonies and after the system was abolished they challenges the use of imported Irish labourers and Chinese ‘coolies’ in the West Indies. 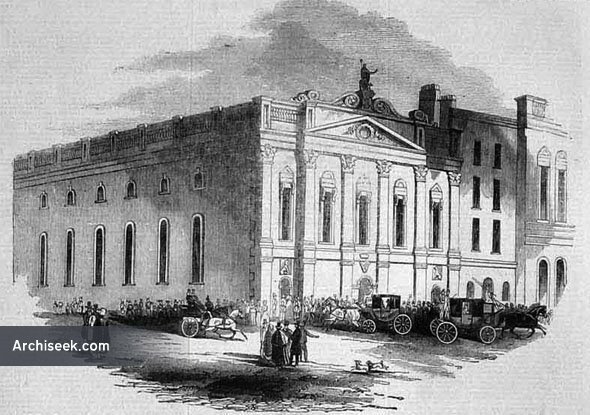 Throughout the 1840’s the society met in Dublin at the Committee Rooms on Anglesea Street and also the Royal Exchange (now City Hall). 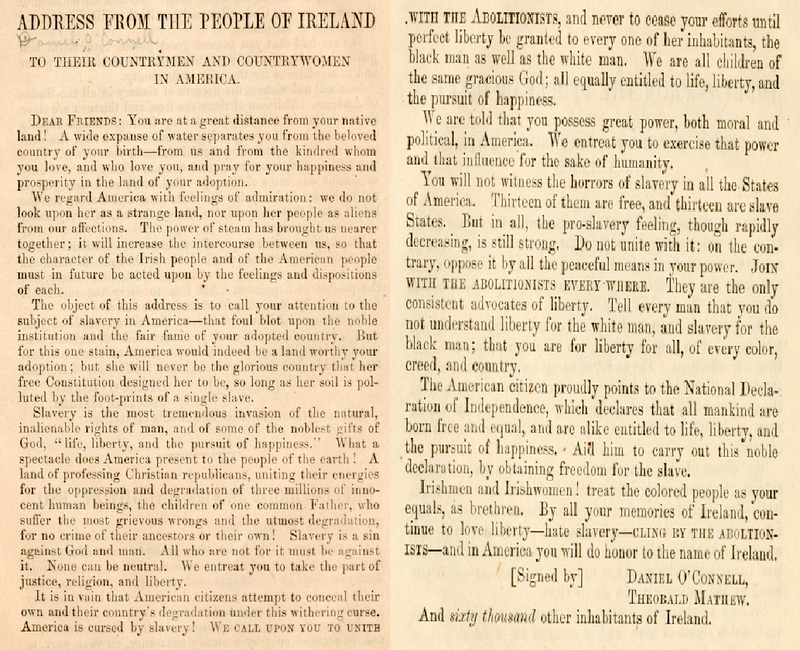 The Famine and Great Hunger from 1845 took up the time of these civic minded members and it appears the activity of the group dwindled somewhat. They did raise the controversial issue of the morality of those who profited from the slave trade providing aid during these years. By 1847 it seems the society did not exist in any meaningful manner, though the individuals did continue to be active in abolitionist organisations until the conclusion of the American Civil War. Richard Davis Webb died in 1872. John Haughton died in 1873. Richard Allen died in 1886. 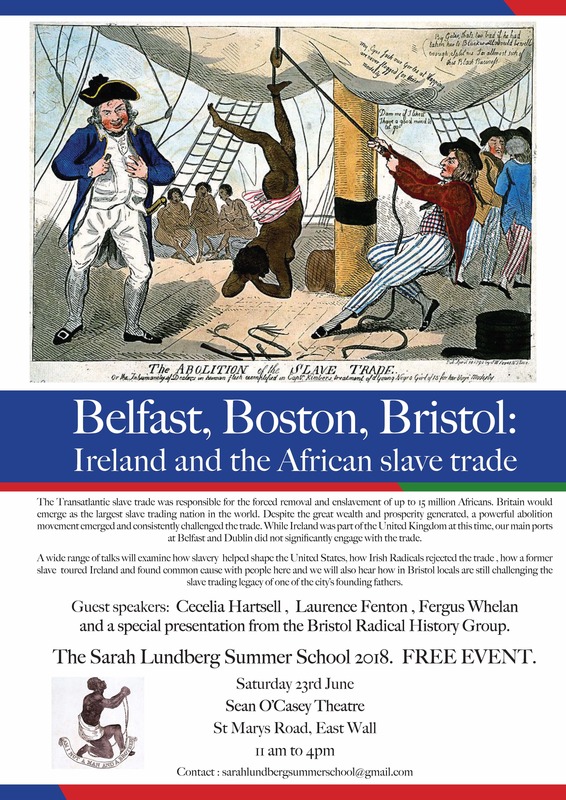 The Sarah Lundberg Summer School 2018 will address many of the issues relating to the transatlantic slave trade and how Ireland reacted. See poster below, this is a free event and all are welcome.